Maggie’s Organics was founded in 1992 on the premise that workers should be treated ethically and clothing should be durable, affordable, and constructed of environmentally sustainable materials. We have continued on this mission within our supply chains by finding and creating factories and cooperatives where workers’ rights are respected and equitable pay is provided. * ILRF has done extensive research on Maggie’s Organic’s and has given them an “A” on their social justice claims. Currently Maggie’s has 50% of their production within the US and the rest abroad – there is no membership organization or certification scheme they can be a part of. Manos Zapotecas mission is to make exquisite, high quality, hand crafted rugs, purses, and computer cases available to discerning and socially conscious buyers across the country. Marigold Fair Trade Clothing since 2004, has been working with a women’s co-op of over 200 women in the slums of Mumbai, India. Our products are handmade using artistic traditions such as block-printing and embroidery…no factory production here. Combine that with flattering design and a flair for color, and you’ve got the Mata look. We are a wholesaler of Fair Trade products, located in Austin, Texas. We work with over 30 artisan groups and about 5,000 artisans in India. In addition to offering responsible, sustainable, and Fair Trade products we also strive to provide useful, up-to-date information about Fair Trade. One World Projects mission is to create viable economic alternatives for artisans and their families, and to expand the reaches of ethical and fair trade to include compassionate trade™`, which addresses the most pressing issues that face mankind today. Our focus is, and always has been, firmly on the welfare of our artisans. SERVV International is a nonprofit organization with a mission to eradicate poverty wherever it resides by providing opportunity and support to artisans and farmers worldwide. 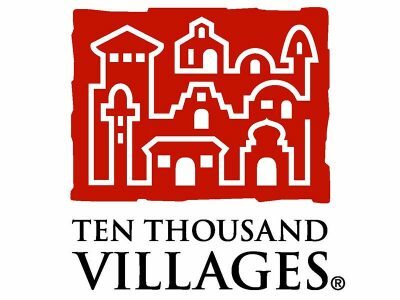 Ten Thousand Villages provides vital, fair income to Third World people by marketing their handicrafts and telling their stories in North America. Tropical Items is a wholesaler and multiple event retailer of fair trade crafts made of high quality natural raffia fibers from Madagascar. WorldFinds’ mission is to create employment for low-income artisans in the developing world, provide unique, beautiful and sellable designs for North American retailers, and operate a sustainable business that also employs people in the US – all the while being kind to the environment.